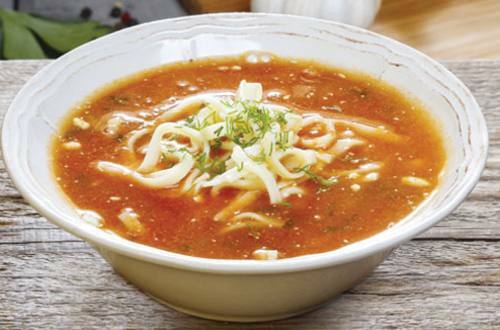 A thick, rich and flavourful soup made from fresh tomatoes and crispy cabbage. 2 Add Knorr Thick Tomato Soup and the remaining water while stirring continuously. 3 Add black pepper, salt and garnish with coriander leaves. 4 Enjoy the hearty and zesty Cabbage and Tomato soup!